Let our team of Massachusetts based landscape designers and artisans create a one of a kind water feature in your outdoor environment. In the process, we can transform the ambiance of your garden, deck or patio space. 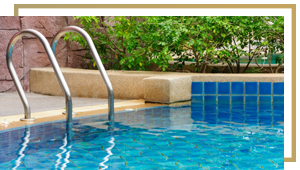 Our water features include in-ground gunite swimming pools and spas, fountains, ponds, cascades, waterfalls and streams. The end result will yield a tranquil, peaceful and contemplative space that is visually stunning with smooth and soothing sounds that will transform you, your Family and guests to an outdoor oasis of uncompromized beauty and functionality. To learn more about us and to schedule a no obligation on site consultation, call us at 781-591-0300 or contact vern@ivystudioMA.com.